Forklift Battery Sales & Service Archives - Westrock Battery Ltd.
For Over 30 Years Westrock Battery Is Manitoba’s Most Experienced Forklift Battery Sales And Service Center. Westrock Offers New Premium Batteries From Top Manufacturers Including Douglas, And Exide Battery. 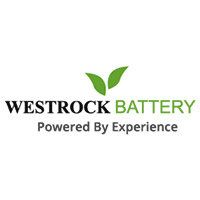 Westrock Also Offers The Latest Lithium Technology Batteries That Offer Long Term Savings, No Maintenance And Safer Operation Versus Traditional Flate And Tubular Plate Lead Acid Batteries. Westrock Is Canada’s Leader In Forklift Battery Refurbishing. Our Re-VIVE Reconditioning Service For Used Forklift Batteries Regains Lost Run Time And Increases The Life Span Of The Battery. Forklift And Other Motive Power Batteries Lose Capacity Through A Chemical Process Called Sulphation, Our Proprietary Re-Vive Reconditioning Process Combines An Environmentally Safe Chemical Additive And State of The Art Electronic Pulse Technology To Reverse Sulphation, Recovering Battery Capacity. Westrock capacity tests all Batteries Brought In For Service Before and After Re-Viving and provide Hard Copy Test reports so you can Evaluate Our Results For Yourself! If for any reason we can’t regenerate this battery to 70% of its rated capacity then you pay nothing for our service! All we ask is to retain the cells as scrap for our trouble. Westrock offers repair services for all makes and models of industrial Forklift Lead Acid batteries and chargers. Our Forklift lead acid battery repair service helps you save on costly replacements and down time. Save time and hassle, Call Westrock Whenever A Forklift Battery Problem Arises.